As a self-proclaimed dog enthusiast (well, any animal really... except raccoons. I hate raccoons. ), I love this exercise. I immediately started going through all of the dogs I have ever known, and let me tell you... I have known more dogs than people! haha Maybe not, but seriously... I know more than I can count. Is that sad? I don't think so. These two are an interesting pair, but somehow they work. Zola is an overly zealous, affectionate, snorting bulldog, and Maggie is a sweet little Corgi who will give you as many kisses as you want just as long as you pet her tummy. Zola is my sister's dog, and Maggie is my parents' (even though I claim them both... haha). Maggie (around 5 years old) tends to get a little tired of Zola (2 years old? I don't know...), who galumphs around the house, chewing on things and attacking her, but every once in a while, you see Maggie licking the folds of Zola's face (Bulldogs are notoriously dirty in this way. ), cleaning them. It might sound kind of gross, but it's adorable. Wow, that was a rant, wasn't it? I don't know if any of you know this or if I've even talked about it, but I am a pet sitter / walker / take-care-of-er over in East Nashville with The Posh Pooch. My job is essentially to drive around East Nashville (and sometimes downtown), visiting clients' houses and letting their dogs out while they're out of town or away at work. I feed them, make sure the house is in order, etc... All in all, it's a pretty great job. The hours are flexible, and I get to hang out with dogs all day long. Anyways, I visited Abby this morning to let her out. She's a lab mix, and a total sweetie, one of those dogs that, when she wags her tail, her whole body wiggles. Every time I walk through the door, it's like I'm her favorite person ever. It's a great ego boost. hah If only people were like that. I can't answer this prompt. It's just... impossible. I will say this. All of them. Yep. That about covers it. Once again, impossible to answer other than to say none of them. In fact, it's the owners I don't like, not the actual dogs themselves. 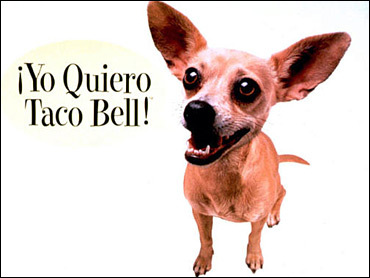 I never understood the whole Taco Bell Chi-Chi phenomenon. I'm not a big fan of Chihuahuas in general simply for the fact that they're little yip-yips, and they constantly look scared because of the big eyes and continual shaking. That being said, I've met awesome Chihuahuas, so I can't really say much. Babs was her legal name, but that was only because Babooshka was taken. In the end, the papers said Babs, but our whole family called her Booshka. She was a miniature Schnauzer, and she did not like children. That was partly due to the fact that she was already several years old by the time my sister and I were born, and when we came into the picture we were this little intruders who pulled at her tail and took all of my mom's attention. I actually have a funny story. Once, when my sister was petting Booshka, she started to growl, so my mom yelled "No!" and popped her on the head (not my sister, the dog). Later that day, my mom caught Jennifer petting Booshka, saying "Good dog," and then popping her on the head for no reason and yelling, "No!" haha This, of course, had to be stopped. A Neighbor's Dog in My Childhood: Missy? I think that was her name. A long time ago, I lived in Biloxi, MS, and we lived pretty much on the edge of the swamp. Lovely. 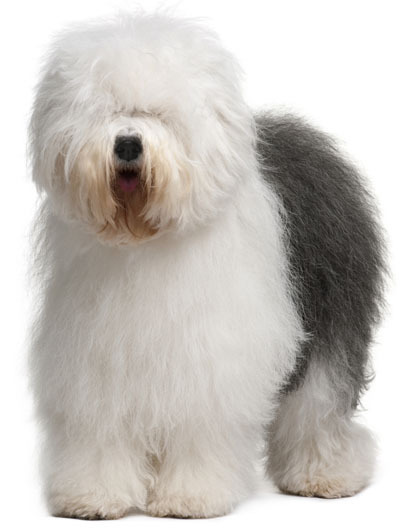 Either way, there was this big Old English Sheepdog named Missy who my sister, Jennifer, and I played with from time to time. She also protected us from being hurt several times, but I can't remember any of those instances. Apparently, she growled at someone or something - maybe another dog? - that fully intented to hurt me. Yay, Missy. She was a great dog. In other news, I have officially began to think about NaNoWriMo, and things are falling together quite nicely. I will, however, probably end up pantsing it just because I don't want to spend much time plotting stuff out, etc. I have a basic premise and a few characters ideas. Other than that, I think that's all I'll go in with. Maybe it's not a good idea to pants your first NaNo, but I think it will be good. If I want to add more form and preparation in later years, then so be it. For this year, however, I'm going in with minimum info. It's going to be awesome. Time for me to head out. I have a lot to do today and not enough hours in the day to get it all done.